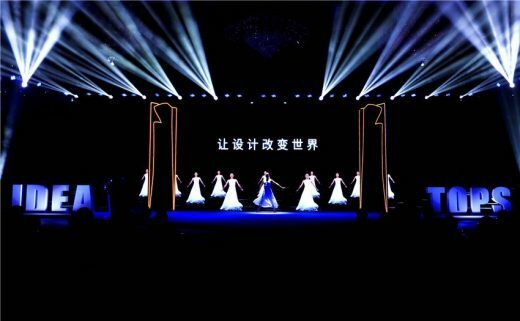 The 8th Idea-Tops Awarding Ceremony Was Held and 17 Winning Works Were Announced. 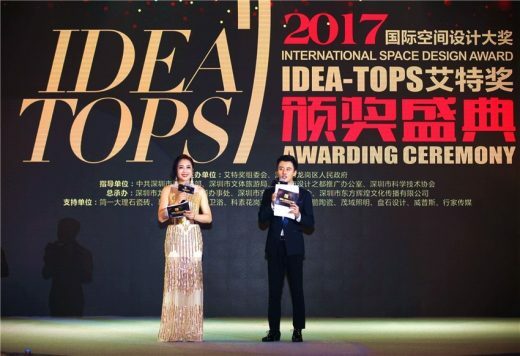 The 8th International Space Design Award——Idea Tops Awarding Ceremony and Series Design Forum were held in Longgang, Shenzhen on December 6th. 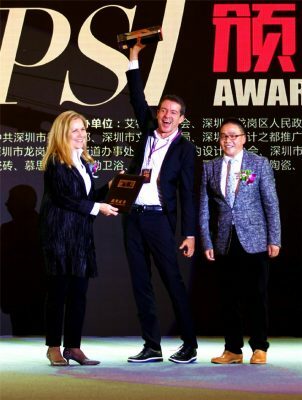 Mrs. Martha Thorne, Executive Director of the Pritzker Architecture Prize, Dean of IE School of Architecture, over 1,500 outstanding designers, entrepreneurs and leaders of 30 design associations from all over the world attended the event to witness the ceremony. As the world’s second largest economy, China’s market has an infinite attraction for global architects. 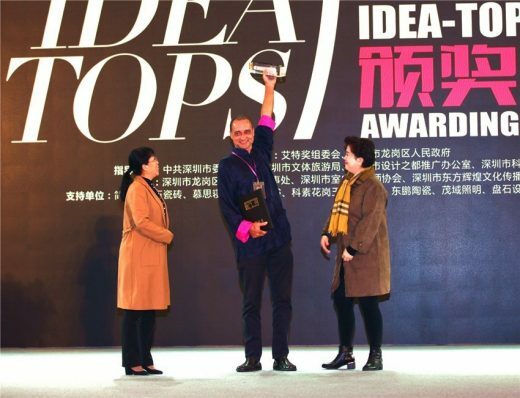 Idea-tops is not only an important design award but also a platform for design industry to communicate and cooperate with the world. 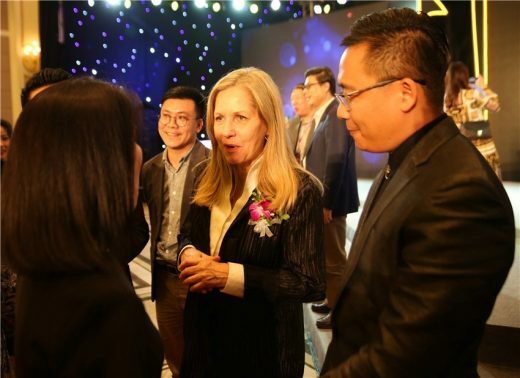 Executive Director of the Pritzker Prize, Dean of IE Architecture School of Architecture and Design, Martha Thorne (below) was invited to the Idea-Tops Awarding Ceremony and International Design Forum for in-depth communication. 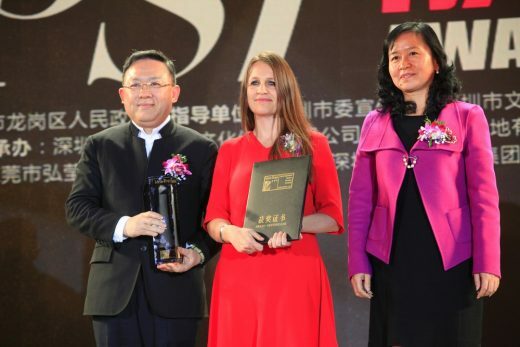 She made an inspiring keynote speech for Chinese designers. It’s a great opportunity for Idea-Tops to learn from the world’s best design award and for its designers to learn more about the international design trends. 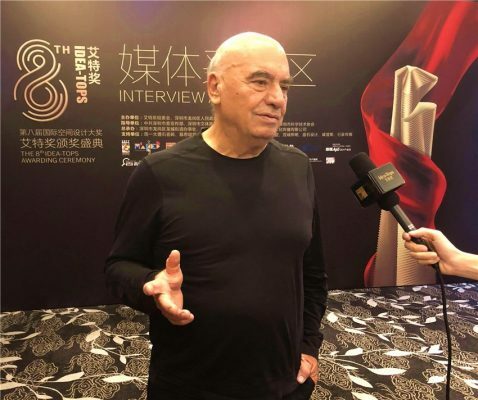 Massimiliano Fuksas (below), President of the 7th Venice International Architecture Biennale, winner of Idea-Tops 2013 Transportation Space category, founder of Fuksas Architecture Studio, known for his outstanding project Shenzhen Airpot T3 Terminal, interpreted “Love Save The World” design philosophy with his latest projects. In 2017, Idea-Tops received 6698 projects in interior and architectural design field from 40 countries and areas such as China, America, Italy, Germany, Netherlands, Portugal, Belgium, Japan, Australia, Spain, Austria, Greece, Russia, Mexico, India, Romania, Israel, Brazil, etc. 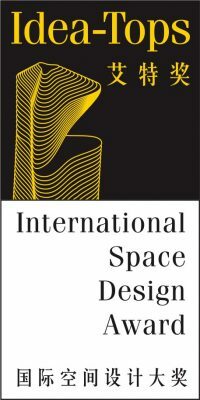 First-class international design companies like UN STUDIO also submitted their entries again. 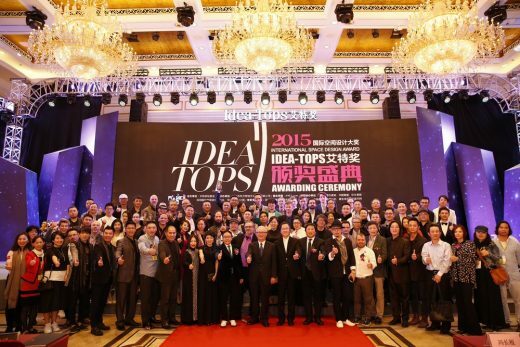 In previous years, Idea-Tops had invited global design masters and scholars to be its judges. 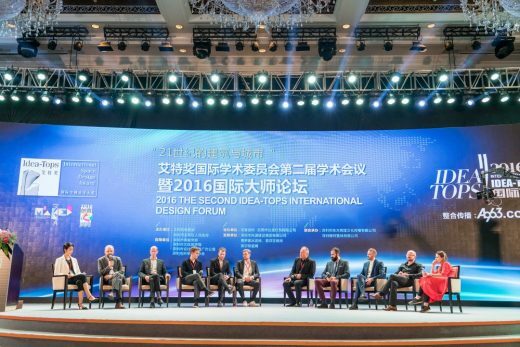 In 2017, Idea-Tops jury team was composed by: Academician of Chinese Academy of Engineering, National architecture design master, Meng Jianmin, Doctor of Design, Harvard University, Vice President of Asia University, Liu Yu-Tung, judge for The Pritzker Architecture Prize, director of the acclaimed international architecture firm EMBT Miralles Tagliabue, Benedetta Tagliabue, Chair for the 2017 American Society of Interior Designers (ASID), LEED AP, Assoc. AIA, Charrisse Johnston, Principal of Architectural Design and Research Institute of Central Academy of Fine Arts, Doctoral Supervisor of University of Pécs, Wang Tie, Dean for the Architecture and Urban Planning College, Shenzhen University, Zhong Dekun, Dean of Environment and Architecture Art College of Tianjin Academy of Fine Arts, Peng Jun, Professor and Master Tutor of Academy of Arts & Design, Tsinghua University, Zhang Yue and, Associate Professor and Director of Institute of Architecture, Gong Shuzhang. All judges believe that the quality of Idea-Tops entries were enhanced greatly through years of mutual learning and competition. Under the strict, open, rigorous review mechanism, after many rounds of review, 17 winning works were finally selected. The champion of Transportation Space category was vacant as the judges expected to see better projects for this category. 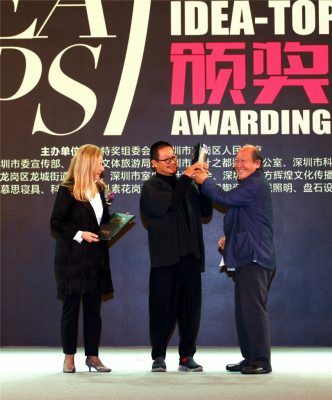 At that night, 17 winning works were announced, covered categories of Public Architecture, Residential Architecture, Green Architecture,Digital Architecture and Commercial Space, Cultural Space, Exhibition Space, Office Space, Dinning Space, Entertainment Space, Hotel, Club, Villa, Flat, Show Flat, Furnishing Design, Lighting Environment and so on. The 8th Idea-Tops was launched in March, 2017. 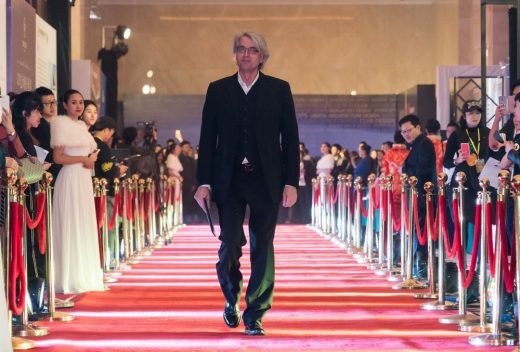 It’s a 8-month promotion tour through more than 50 cities, hosting more than 77 design forums and more than 50 high standard design salons, which attracted more than 200,000 Chinese and foreign excellent designers to participate in. In the past 8 years, the wave of globalization has deeply influenced the development of human society. The Chinese economy has also reached remarkable achievements and become the world’s second largest economy and the world’s largest construction country. 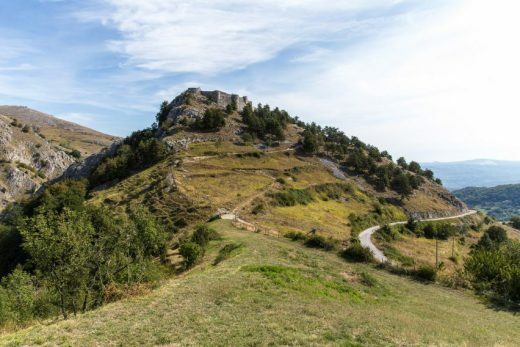 An increasing number of overseas architects are increasing their popularity by Idea-Tops; more and more property developers, hotel investors and construction companies with high expectation choose Idea-Tops winners as design suppliers. And many project investors and business consortium contact Idea-Tops Organizing Committee to seek for cooperation and support. 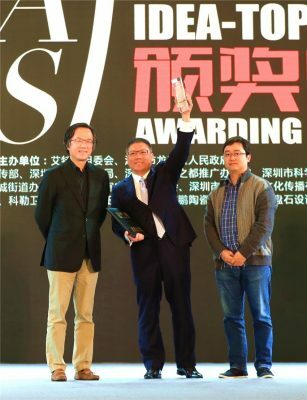 Winning project: New Headquarters of UCAR Inc.
Idea-Tops are one of the oldest design websites in China and they have accumulated more than 210,000 registered designer members. The also share a close relationship with government, universities and media. Idea-Tops are promoting e-architect’s extensive Architecture Tours network which now covers 80 cities globally with over 140 guides, since starting back in 2000.
e-architect have writers in Europe and the USA, and expanded to the Middle East in 2016.
e-architect will attend and report again from INDEX in Dubai, UAE, this March. 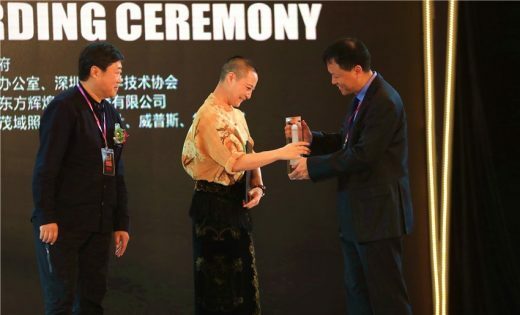 The media partnership with China’s most established architectural network assists e-architect’s connection to Asia. e-architect are headquartered in the UK. The limited company is run by architects for architects! 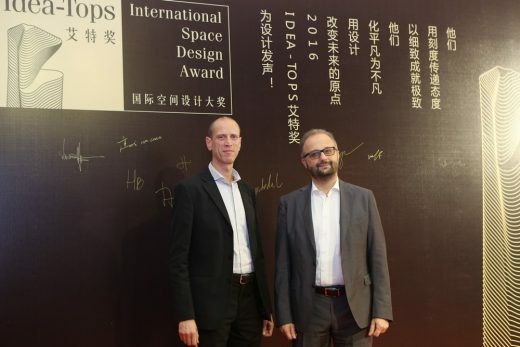 International Space Design Award—Idea-Tops, supported by related government departments, is “the most internationalized and influential design award in China”. 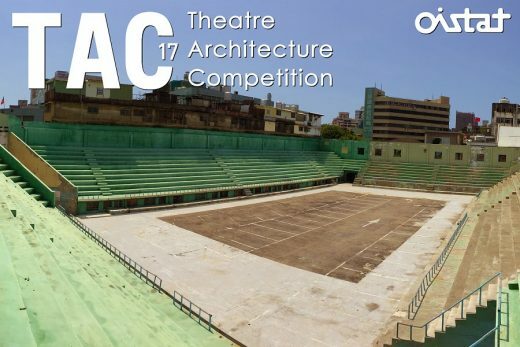 It aims to create the most thoughtful and influential space design award, discover and praise the best designers and design works around the world. It attracts designers and architects from 35 countries or regions, such as USA, UK, France, Italy, Germany, etc. In 2016, we had 6020 entries, including 14 works from the Venice Architecture Biennale; and in 2015, we had 5682 entries, including 11 national pavilions from the Milan Expo 2015. Each year we hold different events which gather masters in the design circle, well-known professors or academic leaders from top universities, such as Harvard, Cambridge, Yale, MIT, etc. 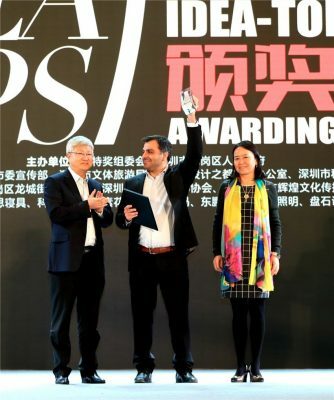 After 7 years development, Idea-Tops has already become a bridge for the world to know the development of Chinese design and for China to understand the design trend in the world. 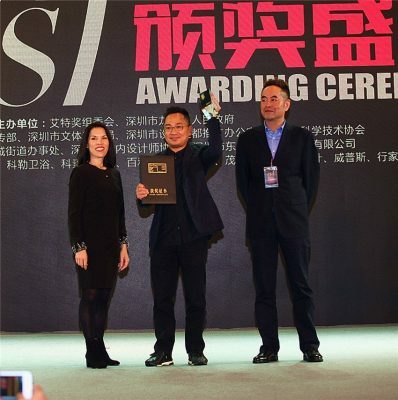 Idea-Tops’ Chinese media platform—A963 Design Portal (www.a963.com) is China’s leading portal in the architecture and interior design field, it has over 70,000 registered design companies, 210,000 registered designers, more than 1 million project photos. And its daily IP is up to 200,000. It’s a very good platform for designers, architects and materials manufacturers to show their works and get media exposure. Please visit www.idea-tops.com. 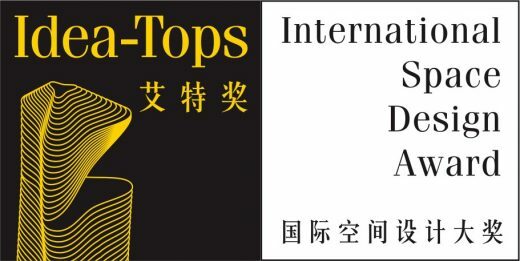 Idea-Tops has more than 30 partners in major cities of China. They are actively searching for international partners to improve its international influence, and promote the exchange and development of the world’s architectural and interior design industry. January 12, 2018 in Competitions.